Cappelletti’s pleasant bitterness and slightly pine-y character mix wonderfully in cocktails—though we love it on the rocks, too. The Aperol Spritz may be the unofficial cocktail of spring, but we like our red Italian liqueurs a little more…esoteric. This time of year, we’re pulling out the Cappelletti. Dating back to 1909, the wine-based aperitif gets is pleasant, juicy weight from a grape base, and at 17% ABV, it’s not much boozier than wine, either. But Cappelletti’s pleasant bitterness and slightly pine-y character mix wonderfully in cocktails—though we love it on the rocks, too, with just a twist of lemon. Now that Cappelletti has been on the American market for a few years, it’s more widely available than ever. 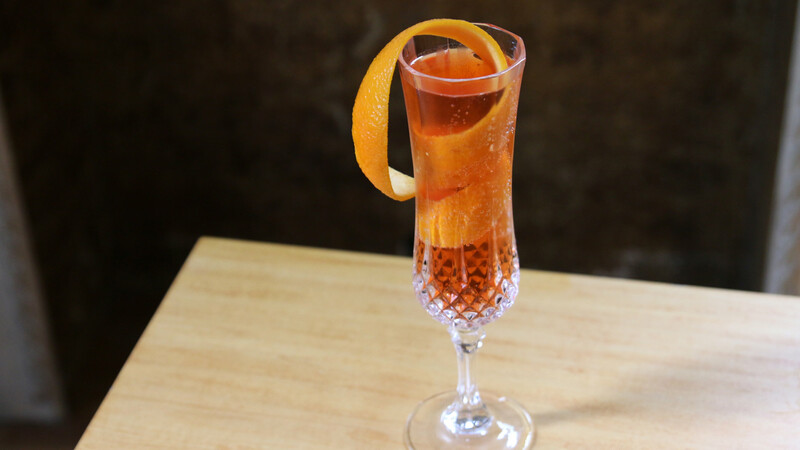 Whip up these three spring cocktails and see why we go through the delicious red aperitif so quickly. A classic spritz combines an aperitif like Aperol, prosecco and sparkling water, but we like our Cappelletti in an even simpler manner—just topped off with sparkling wine. The concoction is an afternoon party drink par excellence, and it takes only 90 or so seconds to make a round. Instructions: Pour an ounce of Cappelletti into a flute, followed by three ounces of sparkling wine. Give a quick stir, then garnish with a long orange peel. Gin is a smart pairing for just about any bitter liqueur. Here, a classic juniper-forward gin like Plymouth gives a strong backbone to delicate Cappelletti, and together, they serve as the basis for a lively spring drink with lemon and basil, lightened up with plenty of club soda. Though the herb is in the drink itself, don’t skip the garnish; its basil aroma ties the whole cocktail together. Instructions: In a cocktail shaker with ice, combine an ounce of gin, an ounce of Cappelletti, half an ounce of fresh lemon juice, a quarter-ounce of simple syrup and three basil leaves. Shake that all up, and double-strain (through a fine mesh strainer, as well as the shaker’s own strainer) into a tall glass with fresh ice. 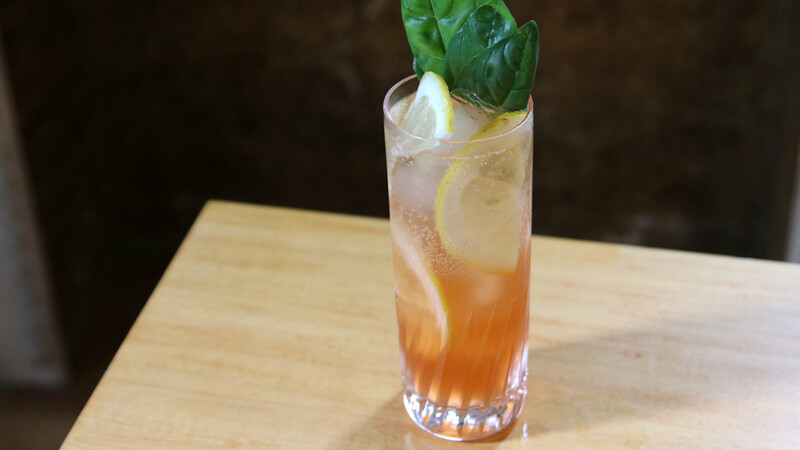 Top with two ounces of club soda, then garnish with three more leaves of basil and some lemon half-moons. 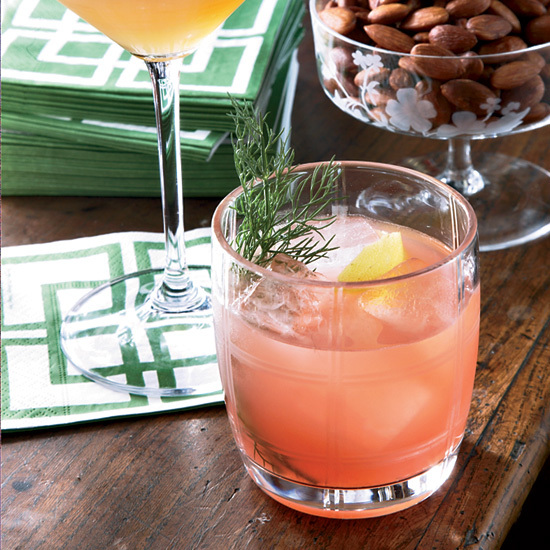 We love that low-proof Cappelletti can lighten up cocktails while still contributing its own distinctive flavor. 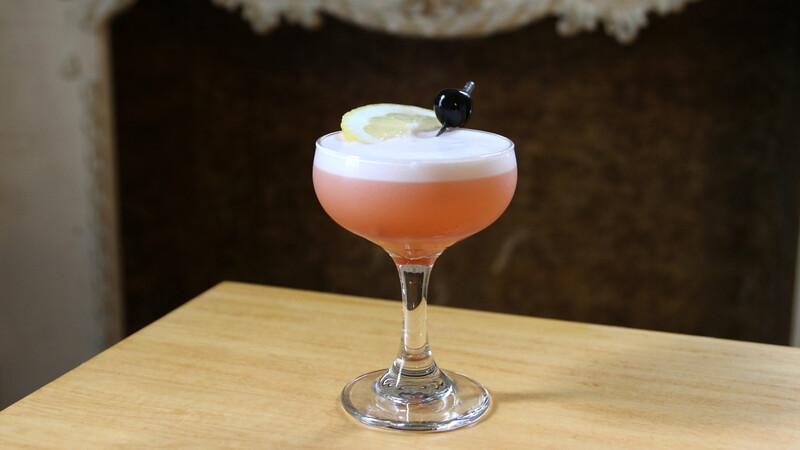 We also love the gorgeous color that it imparts, especially in drinks like this classic whiskey sour. The egg white is key, here—it doesn’t add an eggy flavor, but it offers a delicate, silky texture that really brings the cocktail together. Instructions: In a cocktail shaker without ice, combine an ounce of bourbon, an ounce of Cappelletti, 3/4 ounce of fresh lemon juice, a quarter-ounce of simple syrup and one egg white. Shake all that up without ice to aerate it—that’s called a “dry shake”—and then add ice and shake again for a “wet shake,” to chill it down. Strain into a cocktail glass. Garnish with a lemon half-moon and a cherry.